Over the past few months, this blog series has addressed design challenges in peer learning. The first four posts focused on things teachers can do to make feedback routine, productive, focused, and useful for revision. The previous two posts (“No Pain, No Gain” part 1 and part 2) began our consideration of issues related to student disengagement, and we suggested that Dweck’s research on fixed mindsets might explain a portion of students’ lack of participation. To recap, students with fixed mindsets believe that their abilities are limited, so they see little reason to push through difficult tasks. The students with a growth mindset believe that they can level-up with practice, and they work smarter or harder or both to achieve it. In this post, we tackle why confronting students’ fixed mindset and lack of confidence in peer learning is important. In next week’s post, we share strategies for help students recognize their growth as reviewers. Imagine for a moment that most of the grades you earned in school and all test performance was linked to your ability to curl the sides of your tongue toward the middle. Most people around you believe that tongue rolling is inherited ability. Some people can just do it, and some people can’t. After you figure out which group you are in, how often do you roll your tongue? 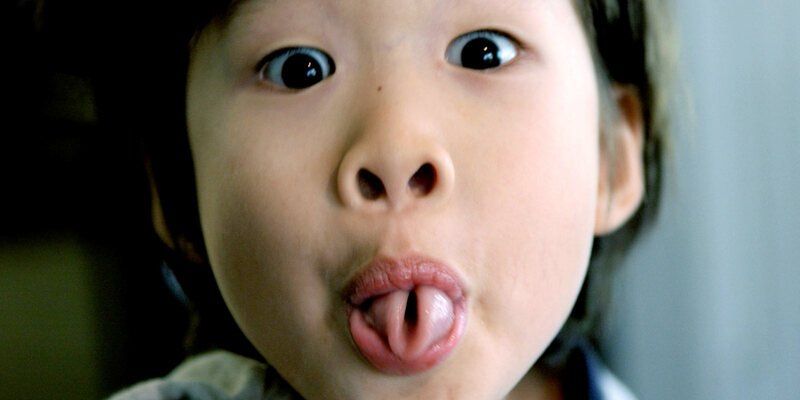 So, some people can teach themselves to roll their tongues. But, they most likely won’t because word on the street is that the “sacred art” is determined by dominant or recessive genes that can be mapped in a Punnett square. Now, think about what happens when you and others around you believe that being a good writer or a helpful reviewer works like tongue-rolling. There’s not much reason to practice that unsavory act if you’re never going to be able to do it. A few half-hearted attempts might be worth it just to put that inherited trait theory to the test, but that’s it. For many students, a lot of school work feels like another opportunity to stick out their tongues. And fail. Again. On the flipside, if you are one of those born tongue-rollers, you don’t have much reason to practice either. You know you can ace it without trying. So you do. Again. Carol Dweck’s mindset research highlights that students’ beliefs about how much their skills can grow influence how much they practice. A growth mindset is critical because—without it—a student accepts past failure/success as a prediction. If you’ve always been a “C” writer, then it’s just a waiting game for the next one. The same is true if you’ve always been a “A” writer. Doing as a little as possible between now and then is logical. Students’ beliefs about how much their skills can grow influence how much they practice. Dismantling that logic is hard but critical for peer learning to be effective. Dweck’s method of helping students develop a growth mindset focuses on teaching them how the brain works and on being attuned to the fixed/growth mindset voices. The full curriculum is worth a peek. In the context of a course, even a few growth mindset discussions and activities give us a wedge for cracking open that juggernaut of low self-efficacy. In addition, to get students to see their potential for being helpful peer reviewers, we have to show them what they can do. Design Challenge: Confront students’ lack of confidence. Students have good reasons to doubt their ability to contribute to others’ learning. By definition, novices don’t know much. To learn, they need to talk it through and figure things out with others in their zone of proximal development. But, co-constructing knowledge seems slow and risky compared to a data download approach where an expert tells them what to do. Listeners make few mistakes that others’ notice, but doers make a lot. In peer learning, students are doers. They make a lot of errors. Those errors are noticed by the writers who receive them and by the class in debriefing discussions. If peer learning is frequent and routine enough to lead to improvement, the first few rounds will be riddled with errors. That’s completely normal, expected even. If peer learning is frequent and routine enough to lead to improvement, the first few rounds will be riddled with errors. That’s completely normal, expected even. More errors, however, are not what students expect, especially those “A” writers who have never struggled. It shakes their confidence in the process and in their own abilities to realize that giving feedback about specific criteria will include a lot of trial and error. How students think about errors matters. From a fixed mindset, errors are proof of inadequacy. From a growth mindset, errors shape the path to future success. From an instructor’s point of view, errors mean that you are asking students to work at the limits of their ability. No errors often means “no challenge.” An instructor’s role is to help students develop a growth mindset by showing them how errors direct next steps. Design Opportunity: Show how error leads to success. Formative feedback means that next steps matter more than errors. That’s easy to say but hard to teach. In fact, there is good research on the challenge of getting folks to learn from their mistakes. Tjosvold, Yu, and Hui (2004) found that teams with cooperative and problem-solving orientations learned from mistakes while competitive and independent goals led to blaming and fear. The truth is that awkward feelings and defensiveness are real barriers, at least initially, to learning from past errors. Instructors therefore need to create the conditions for students to understand and even value practice sessions where they will work to the limit of their ability, make a few mistakes, and then look at those mistakes to see a path to growth. Awkward feelings and defensiveness are real barriers, at least initially, to learning from past errors. Confronted with students’ errors as writers and reviewers, it takes effort to focus on the one or two things most students need to do to move forward. Instructors describe the manageable list of next steps when they debrief a peer learning activity. Debriefing with students after they’ve given each other feedback helps put the focus on the future. Explaining how to transform weak drafts/comments is powerful. For students with a fixed mindset, seeing how small steps add up to a successful transformation may be the motivation they need to try harder. These explanations make successes look less like magic and more like the product of hard work: review and revision. After debriefing, students should know what the “ramp” looks like for trying new strategies and more effort. They should recognize their errors and see the path to improvement. This becomes easier to do when students see that they are rewarded for working at their limits and not punished. If they can look back at a previous project and see that they have moved on to making “more advanced mistakes,” students become more confident learners. And, they should be aware that their beliefs about how much growth they can achieve as writers and reviewers has real effects on their effort and performance. Bottom-line: Confidence comes from a belief about the significance of errors. Effective peer learning means students are doing a lot of heavy lifting in learning to notice and talk about criteria. That work requires new muscles. The goal is to help students accept that making mistakes—as a writer or a reviewer—is part of the process. Dweck, Carol. “Change Your Mindset: First Steps.” Mindsetonline.com. 2010. http://mindsetonline.com/changeyourmindset/firststeps/index.html. Hullinger, Jennifer. 2015. “Tongue Rolling and 5 Other Oversimplified Genetic Traits.” Mental_floss, March. http://mentalfloss.com/article/62294/tongue-rolling-and-5-other-oversimplified-genetic-traits. Tjosvold, Dean, Zi-you Yu, and Chun Hui. 2004. “Team Learning from Mistakes: The Contribution of Cooperative Goals and Problem-Solving*.” Journal of Management Studies 41 (7): 1223–45. doi:10.1111/j.1467-6486.2004.00473.x.